Driven primarily by the requirements of students with production-related degree programs, De La Salle University recently partnered with Adobe Inc. to allow students, faculty, and staff to access the latest Adobe Creative Cloud (CC) Suite on University-owned and personal computers. The licensing agreement between Adobe and De La Salle University will commence next term. Through the said partnership, the University will be able to save 60 percent compared to the previous expenses spent on the Adobe product licenses. Adobe Creative Cloud applications will also be made available in computer labs throughout the campus. Computers utilized by production-related degree programs such as Advertising, Communication Arts, and Organizational Communication are currently using basic design applications like Photoshop and Lightroom, among others. However, students have been raising issues regarding the difficulty of completing outputs and projects which require the use of the applications outside of school. Charles Mann (III, AB-CAM) shared how he and his group mates would need to schedule time to go to school after shooting outside just to design, layout and, generally, edit for the past years. He stresses that it is strenuous to procure a copy of Adobe CC given the high price of the product. “Being given access to the software is highly beneficial especially since students under production-related degree programs for it will save us time in travelling from the place of our shoot to school which, essentially, should be time for editing,” Mann states. The Information Technology Services (ITS) Office will oversee the management and provision of the software. ITS Director Allan Borra acknowledges the difficulty of the project undertaken. “I do understand that this will be hard for all of us, but rest assured that everyone in ITS will not rest until every computer in campus has access to the suite, and until every student and faculty member in need is assisted,” he shared. He reveals that installing the software on all desktops utilized for design programs would take until the next term to be completed. A practice run would be conducted afterwards in all desktops to guarantee a smooth operation of the software once faculty, staff, and students are allowed access. While everyone is allowed the use of the software as it is installed in public-use computers within the University, students from communication and advertising aligned degrees will have priority personal installation of the software. For personal use, subscriptions are available for students enrolled in courses that require the software. Students who are enrolled in creative courses will automatically receive access at the beginning of next trimester. 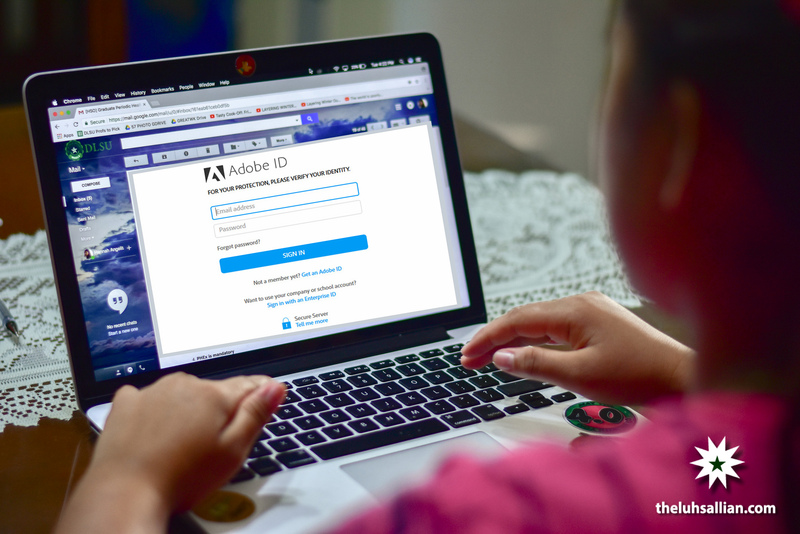 Faculty members who wish to integrate the use of Adobe products in their classes will be required to consult with ITS first before being granted access to Adobe products. Graduates and students not enrolled in a qualifying course will only receive access to Adobe Creative Cloud via the University. They would need to purchase a subscription. Students of all degree programs will have the chance to purchase the said software yet are only limited to one copy of each product of Adobe CC. The price will depend on the program needed by the student. Borra assures that the price of each program is student-friendly. “In availing the access to the Adobe CC software, the University partnered up with Adobe Philippines. The partnership allows for a purchase at a lower price for students,” he shares. There were concerns whether the Adobe license will continue even after students leave the university. Unfortunately, it has been confirmed that former DLSU employees and students are not eligible for these privileges. Graduate students will receive email notification on their DLSU email account saying their access has expired once they leave the University. When the Adobe account is deactivated, the students will no longer be able to log into the Adobe CC applications. If the student wishes to continue using Adobe products, additional charges may apply. However, the files under the account will not be lost as long as the user has a local backup of all Adobe CC files. If any assistance is needed regarding the software, the ITS Office may be contacted at 2567787 loc. 142 or may be visited at Room 308 in Gokongwei Hall.